Earlier this week, the New York state attorney general’s office directed FanDuel and DraftKings to cease operating in the state after investigators concluded that these sites constitute a form of illegal gambling. The sites have vowed to fight this order, which would wipe out around 10% of their existing customer base, but the federal law that has allowed fantasy sports to exist may be the one that hurts them. In 2006, the federal government passed the Unlawful Internet Gambling Enforcement Act (UIGEA), which effectively shut down most online gambling by barring financial institutions from transferring money to these sites. However, that same law includes an exemption for “fantasy or simulation sports” because they are deemed a game of skill. But while the federal government might say these sites are legal, a number of states disagree. Long before New York and Nevada regulators sought to block fantasy sports, a number of other states — Arizona, Iowa, Louisiana, Montana, and Washington — already had rules on the books that effectively prevent these sites from operating there. The UIGEA goes into all manner of detail about the conditions under which a fantasy sports contest is exempted from the law. For example, it requires that “All winning outcomes reflect the relative knowledge and skill of the participants and are determined predominantly by accumulated statistical results of the performance of individuals (athletes in the case of sports events) in multiple real-world sporting or other events.” It also bars traditional sportsbook betting, meaning the contest can’t be based on point spreads or on the outcome of single pro sports game. But as Bloomberg’s Kavitha Davidson points out, a reading of New York state law shows just how low that state sets the bar for what constitutes gambling. You can make a good argument that fantasy sports are indeed a game of skill, what happens on the field is completely out of the fantasy player’s control. If poker — which involves a high level of skill and is not affected by weather, injury, or questionable coaching and officiating — is considered a game of chance, then it might be difficult to make the argument that fantasy sports don’t also fall under that umbrella. Both sites are intent on fighting this week’s order from New York attorney general Eric Schneiderman. “We will pursue this fight to the fullest to ensure that New York fantasy sports fans do not need to stop playing,” reads a statement from DraftKings, which stands to lose around 500,000 users if the NY ban is upheld. 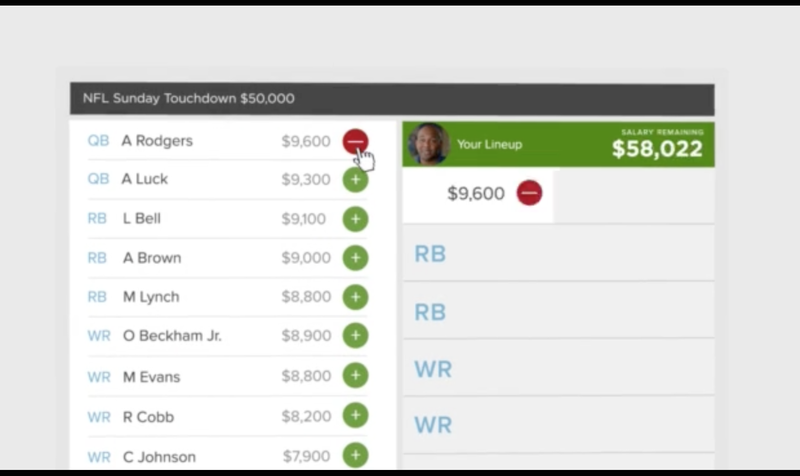 FanDuel could be hurt even worse, with some 600,000 users located in the state. The two sites were given five days to respond to Schneiderman’s cease-and-desist orders, and Reuters reports that both have hired former New York prosecutors to prepare their arguments opposing the AG’s determination. What makes the potential New York ban so problematic for these sites is the way in which the state has phrased its conclusion — saying that FanDuel and DraftKings offer an “illegal gambling” service. And this is where the UIGEA might come back to bite these sites in their respective rear-ends. This law isn’t an outright ban on online gambling. It’s a prohibition against financial institutions — which isn’t just banks, but also credit card networks, electronic check clearinghouses, money-wiring services, and others — from doing business with illegal online gambling operators. So even if fantasy sports are not illegal on a national level, their illegality on a state level may — the law is not clear — bar banks and others from doing business with these sites in those states. The question is whether or not the financial institutions are willing to take that risk to keep processing payments for DraftKings and FanDuel. Additionally, many financial titans are based — or have huge presences — in New York, where drawing the ire of the attorney general over fantasy sports leagues may not seem like a good bet. The New York Times reports that one major transaction processor, Vantiv Entertainment Solutions, has already told DraftKings and FanDuel that these sites must stop accepting players from New York state. Meanwhile, two smaller fantasy sites — Draft Ops and Mondogoal — have ceased operating in the state, even though they have not yet been provided a cease-and-desist order.